I want to thank the Almighty, because without him nothing is possible. We have a pastor in the team in Andre Fletcher, he keeps on praying. We are a praying team. I’m really happy for this win and it’s something we are going to cherish for a long time. I’ve said we have 15 match winners. Nobody gave us a chance but every game somebody stepped up and took responsibility. To see Carlos (Brathwaite) play like that in his debut World Cup, it’s just tremendous. It shows the depth we have in the Caribbean in T20 cricket and hopefully with the right structure and development our cricket will continue to improve in one-day and Test cricket. We started this journey… We all know we had… People were wondering whether we would play this tournament. We had a lot of issues, we felt disrespected by our board, Mark Nicholas described our team as a team with no brains. All these things before the tournament just brought this team together. 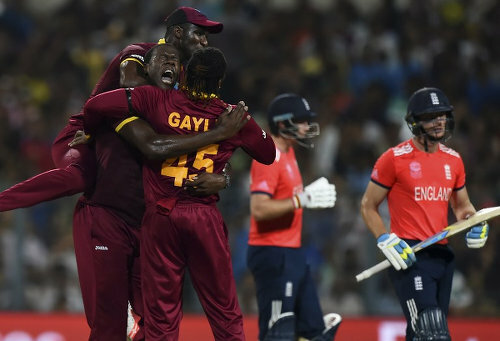 Photo: West Indies bowler Carlos Brathwaite (second from left) celebrates with captain Darren Sammy (top) and Chris Gayle after the wicket of England’s Jos Buttler (far right) during the World T20 cricket tournament final match at The Eden Gardens Cricket Stadium in Kolkata on 3 April 2016. Carlos Brathwaite sensationally hit four successive sixes off Ben Stokes in the last over as the West Indies stunned England by four wickets to win the World Twenty20 title. I really want to thank these 15 men; the ability to just put all those adversities aside and to come out and play this type of cricket in front of such passionate fans. It’s just tremendous. I personally also want to thank the coaching staff, coach Phil (Simmons). He’s been through a lot. And to come here and the way he’s coached the team. He’s just brilliant. All the other coaching staff, who have done their part. We had a new manager in this tournament in Rawle Lewis. He had never managed any team before. I got to give credit to the entire team here. It was us in our own little circle, this win we dedicate it to all our fans in the Caribbean. 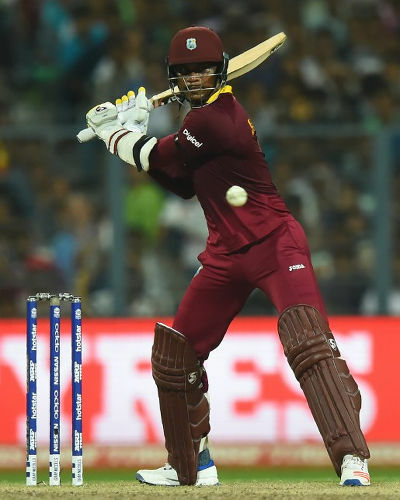 Photo: West Indies and Jamaica all-rounder Marlon Samuels plays a shot during the World T20 cricket tournament final match between England and West Indies at The Eden Gardens Cricket Stadium in Kolkata on 3 April 2016. 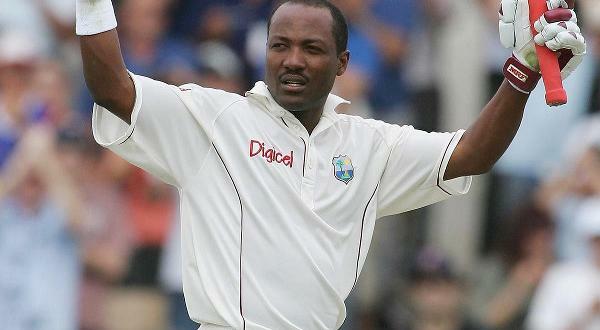 Samuels was the man of the match as West Indies won by four wickets. Lastly, I really want to thank the heads of CARICOM. Throughout this tournament, they have been supporting the team. We’ve got emails, we’ve got phone calls. (Grenada) Prime Minister (Keith) Mitchell. He sent a very inspiring email for the team this morning… And I’m yet to hear from our own cricket board. That is very disappointing. For today, I’m going to celebrate with these 15 men and coaching staff. I don’t know when I’m going to be playing with these guys again because we don’t get selected for one-day cricket. Everybody know West Indies are champion! 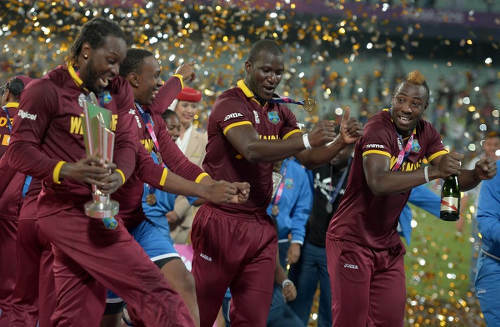 Photo: West Indies cricket players (from left) Chris Gayle, Dwayne Bravo, Darren Sammy and Andre Russell celebrate their World T20 cricket tournament final win over England at The Eden Gardens Cricket Stadium in Kolkata on 3 April 2016. When will we ever celebrate this kind of glory again? Sammy’s words were prophetic indeed! So Antigua preparing for test match vs India despite no official word from WICB – in the same week that both their minister of sport & PM publicly state they oppose CARICOM dissolving of WICB…. The lingering high which still resonates throughout the Caribbean atmosphere following the West Indies’ recent historic ICC World Twenty20 victory in India may soon be long forgotten as diehard fans of the boys in maroon will not feature at least seven of them for the upcoming tri-nation One-Day International Series against South Africa and Australia in June. With the West Indies Cricket Board’s (WICB) recent change in its selection policy which states that players must compete on the domestic circuit (50 Over/Four- Day) in order to affirm places on the regional team for international competition, several key and trophy- winning players have automatically been excluded. Among them are the likes of World T20 championship skipper Darren Sammy, the in-form Dwayne Bravo, hard-hitting batsman Chris Gayle and all-rounder Andre Russell, Lendl Simmons, Marlon Samuels and Samuel Badree. All except Samuels were unavailable for the Nagico Super50 after taking up contracts for the Australian Big Bash which clashed with the regional one-day tournament. With the tri-nation series just around the bend and the regional team still being celebrated for their t20 success, many fans were hoping for the WICB to soften its stance so the T20 stars could compete. 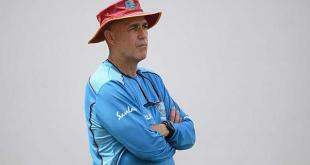 Their hopes were dashed, however, by WICB Director of Cricket Richard Pybus who seems to be playing hard ball. “We got a selection policy and it stands. The selection policy is pretty straightforward,” WICB director of cricket Richard Pybus told WEEKENDSPORT in an interview recently. Speaking with former WI cricketer, Bryan Davis, he openly differed with the Board’s policy. The now local cricket administrator also called for selectors to alter such an approach, which he believes is hampering the growth of regional cricket as a whole. “I don’t agree with the policy because I think we should pick our best team at all times,” said Davis off the bat. “I don’t agree with the policy where you have to play a certain number of games to be available for selection. To me that’s a bit of an archaic rule. I can’t see the reason behind it. I think one of the reasons the West Indian stars are required to play in the local domestic leagues means it will improve our club cricket and so on. But, if we are trying to encourage them by doing that, and they are still not coming, how is this strategy improving the cricket anyway? I think we are spinning like a top in mud.” Davis questioned whether a player who plies his career professionally at the highest levels of the game, should give up a healthy payout from his job and settle for less money by competing on the local circuit. “I think the policy should be changed because I don’t agree that we, the West Indies, have a team to pick to play in world competition and we are not picking our best team because of our own restrictions on players. My idea is that your best team should represent the region at all times, regardless if they have played some other cricket. Once a man is fit, he should play. If he has contracts elsewhere, it shows you just how good he is. If you can compensate him that money and say that you want him to come and play in this cricket (domestic), then okay. But you will never be able to compensate them the money that people pay them elsewhere, so why should the region suffer because of that?” added Davis. In countries like South Africa, and other major cricketing nations, restrictions such as these are non-existent. “He (cricketer) is not suffering because he is getting his money and he playing because that’s his job and career. I can’t see any reason whatsoever to blame the player. I see no reason why you must tell a player that he has to take less money and lose finance to come and play in the local series. For what reason? I can’t see any whatsoever. I believe that any time there are selecting players to a West Indies team, and they are available, nothing except fitness should stop them from being selected for that team,” Davis concluded. ST JOHN’S, Antigua, Apr 15, CMC – Legendary former pacer Sir Curtly Ambrose says tweaks need to be made to the controversial eligibility rule, in order to have the best players available for West Indies duty. 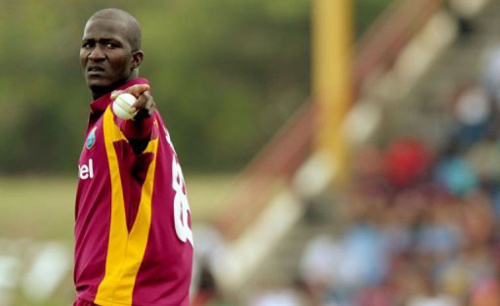 Sir Curtly, who currently serves as a West Indies team bowling consultant, said while he appreciated the objective of the rule, the overall focus should be on ensuring the region always fielded its best XI. “I still believe that there are a few guys out there who I believe can play the ODIs and the Test cricket but there is a criteria that you have to play the First Class cricket here in the region to be selected or eligible for Test cricket and you have to also play the regional one day tournament to play for the ODI [team],” the Observer newspaper quoted Sir Curtly as saying on a sports radio show here. Legendary former fast bowler and West Indies team bowling consultant, Sir Curtly Ambrose. “I can understand that because you must have some structure but I still believe that we should be looking to get our best team. Currently, the West Indies Cricket Board requires players to make themselves available for the Regional First Class Championship in order to qualify for the Test team. Similarly, players need to play the Regional Super50 if they are to be considered for selection for ODIs. However, many of the leading players like Chris Gayle, Kieron Pollard, Dwayne Bravo, Andre Russell, Darren Sammy and Sunil Narine, all ply their trade in Twenty20 tournaments across the globe often conflicting with the scheduling of Caribbean tournaments. For instance, the Australian Big Bash clashed with the Regional Super50 last January, and West Indies players opted for the T20 tournament. This means, West Indies are likely to have a weakened squad for the upcoming Tri-Series in June, involving South Africa and Australia. Sir Curtly, one of the finest fast bowlers the sport has seen, advocated for a better relationship between the players and administrators in order to address the many existing issues. “If you have a better relationship or a great relationship, I believe the cricket will get better because guys will go to play cricket feeling relaxed knowing that their business off the field is being taken care of, so all they have to worry about is playing cricket,” the Antiguan said. In a show of goodwill the rule should have been waived and the issue addressed when Cameron meets with the players as he said he would. Not to mention more fans are likely to show up if you have the best players…. But what happens in other counties re: these clashes? Does big bash for example clash with the Australian domestic one day tournament? The President would like to however apologise for what could be deemed inappropriate, comments made by the West Indies’ male captain, Darren Sammy in a post-match interview and would like to apologize on behalf of the WICB, to the millions of fans who witnessed. The President has pledged to enquire the reason and will have the matter addressed. if hinds talking the truth then what do bravo samuels sammy want? I know initially it was to return to the previous remuneration deal…now I think it’s to meet and discuss. Gerard I saw wavel mention players are being paid a fee to represent the brand. I know in football there is image rights which is paid separate from salaries. Now the bigger the player the more image rights can negotiated. Based on your workings and knowledge with the WICB, do you know if such a structure is exist? Just seeking some knowledge. Davis, that issue is an entire can of worms in itself and would take pages to elaborate. I’m not certain what is the present situation re the players’ image rights, but at one time they were owned by a company called WIPMACOL, the Directors of which were some of WIPA’s Board members. I know this matter became a court issue at one time, but I’m not sure what is the current status. 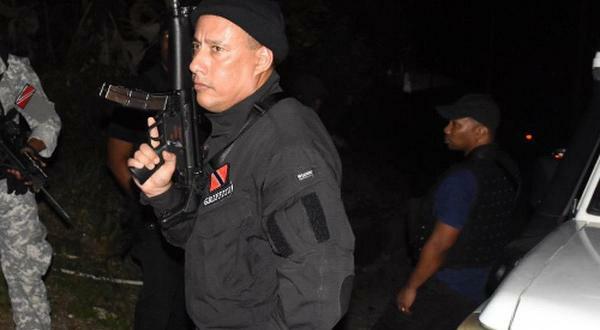 Perhaps Dinanath Ramnarine or Wavell Hinds will be able to give a current position. That was an old article on the issue. Based on this article it’s more like a can of snakes. I think the region is ready for a Regional consultation geared at a way forward for the management, promotion and growth of Cricket at country and region levels. There should be a sign up period for those who want to participate and meetings held in each country. Committees and Organizers should not include anyone who bears malice for fellow Caribbean citizens, and loves the sport, not necessarily one who has all the statistics and data (I am a passionate supporter). One master plan that we all abide by. It is time to move away from this fan dance that has become the norm. It is time for the Caribbean to step up and take charge of our beloved sport. THE STUMPS of the West Indies Cricket Board (WICB) should’ve been shattered a long time ago as the right people aren’t administering cricket in the Caribbean. So says former West Indies’ fast bowler Sir Andy Roberts. “There needs to be a revamp of the cricket board. The majority of the directors have been there far too long but the WICB will not be restructured from within,” Roberts told WEEKENDSPORT yesterday in a telephone interview from his native Antigua. Sir Andy said most of the problems affecting West Indies cricket stem from not having many former cricketers on the WICB, as they would know how to treat the modern-day players based on their own past experiences. “I was never in favour of these guys [Dave Cameron and Emmanuel Nathan] being president and vice-president. I believe there are too many square pegs in round roles pertaining to the cricket administration,” Roberts charged. “The majority of what should be discussed by the WICB is cricket so if you have 16 or 18 directors on the board and only two have a cricketing background, what would you expect will be discussed?” asked Roberts. Sir Andy said he didn’t have a problem with successful West Indies Twenty20 captain Darren Sammy criticising the WICB, at the presentation ceremony after the regional side had won the ICC World Twenty20 last Sunday. “It is not a matter of whether Sammy was right or wrong for saying what he said when he said it. You think it would’ve made the same headlines if he had said it on his return to St Lucia?” asked Sir Andy. “Not only around the world, but it grabbed the attention of endless amount of people in the Caribbean. A lot of people in the Caribbean do not know of these problems, which have been going on for a long time,” Sir Andy remarked. “Kudos to Sammy for having the courage but I’m afraid Darren may not be around much longer because we like to victimise,” added Roberts. But in an interview, with the ESPNcricinfo website, conducted while he was in India for the World Twenty20, Cameron said things have improved since the start of the Caribbean Premier League and the Professional Cricket League. Cameron also defended his style of leadership. “One other thing I try not to do is get too involved in processes. I have a CEO [Michael Muirhead]. I know people think I am the guy directing the ship, but I am really at 100 000 feet [above]. The CEO is running the organisation,” he said. Sir Andy also said he wanted to see more success in the longer formats and not only in T20 cricket. “I don’t see our cricket heading in the right direction. Winning three T20 competitions is not the beginning or ending of West Indies cricket. The cricket has to have a footing somewhere with ongoing development of the players for the future. Development is not competition. “If you look at the nucleus of the men’s T20 side, how many of them will be playing in June in the Tri-series or in the Test series against India in July?” asked Roberts. “I want to see the cricket development at the Test match level,” added Roberts. One thing. Whenever anyone says that posterity etc will vindicate him is someone who knows he is on his way out. His star is falling fast. You don’t refer to future justification if you believe you can survive the present. So folks, it will not be a happy landing, it will be a crash. The man must be still getting over his birthday celebrations, so I’ll give him a few days. Lol @ “History will dissolve him”. Like history is acid or what? BRIDGETOWN, Barbados, Apr 10, CMC – Under-fire West Indies Cricket Board president, Dave Cameron, has pushed back on recent widespread criticism of his leadership, and says he has always acted in the best interest of West Indies cricket. Cameron, who was elected to the top post three years and successfully gained re-election last year, said much of the criticism he had received was “absurd” and argued he would be eventually vindicated by history. 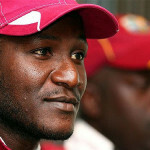 The Jamaican has been fending off criticism ever since captain Darren Sammy during a post-match interview blasted the WICB for “disrespecting” the players, after West Indies won the Twenty20 World Cup in India last Sunday. “I am not here to destroy the game. We just won three World titles and the feeling is I want to mash it up,” Cameron told the Nation newspaper here. Embatlted WICB president Dave Cameron … says he will be vindicated by history. 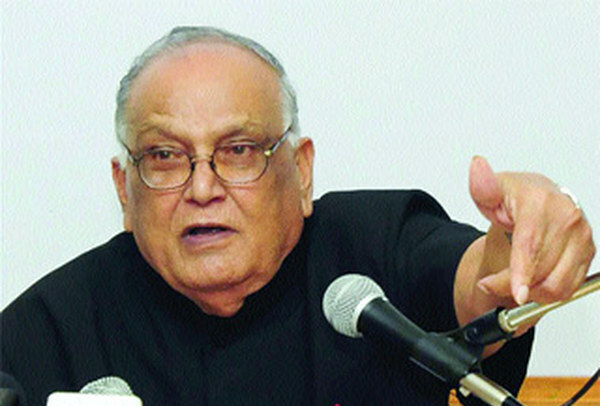 Cameron’s tenure has been embroiled in controversy ever since the West Indies one-day side controversially walked off the tour of India, over a pay dispute with the board and players union, WIPA. Cameron copped blame for not doing enough to solve the dispute and the Indian Cricket Board (BCCI) subsequently said it held the WICB responsible. St Vincent and the Grenadines Prime Minister, Dr Ralph Gonsalves, said Cameron had “embarrassed us before the world” and called on him to step down. Cameron also came in for criticism for his controversial tweet regarding superstar opener Chris Gayle’s form during last year’s World Cup and again found himself in trouble on the online social network, Twitter, last week when he appeared to lash out at Sammy for his post-match criticisms of the board. Cameron argued his most recent tweet had been misunderstood. “I have had a lot of criticism about a tweet that has gone on my timeline. Go to my timeline and look,” he said. “There are motivational tweets on my timeline every day. Why could someone not used that tweet to say I was saying to Darren Sammy and Marlon Samuels to do not let the critics get to you. The WICB and the players clashed over pay prior to the start of the T20 World Cup and with the two parties seemingly on another collision course, Cameron said he was open to “meet with anyone” in order to find a solution. “I am very straightforward. I am prepared to meet with anyone and discuss the way forward,” he stressed. The six Territorial Boards own the WICB. They are the people who put Cameron in power and keep him there. No way they didn’t have uniforms man! We Cyah be that backward. Sooooooo ????? R. Lewis respond yet ? St John’s, ANTIGUA – The West Indies Cricket Board (WICB) wishes to clarify the issue of playing kit/gear and the timeline for the men’s team for the just-ended 2016 ICC World Twenty20 Championship. · March 16 – Cap manufacturer indicates he is now able to ship caps via courier (additional caps, since caps used in Dubai are usable unlike the clothing which cannot be used before March 7 as per ICC rules). The Board wishes to reiterate its position of always putting out the best efforts for all its players for all levels of competition. He knew he was not welcome. So afraid were they or what I could reveal that unfortunately I had to destroy my hard evidence and files after the out of court settlement. All I can say is that if a forensic audit is every completed, several people will be too busy in other domiciles to run for the Presidency or run the WICB. 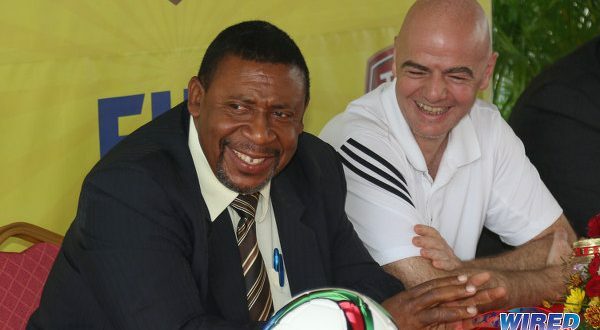 When players from your own country do not wish to speak to you, and people organizing receptions do not invite you, you would think that a normal human being would get the message. Not Cameron. Bruce Aanensen Have you noticed how Cameron avoid the question regarding Michael Holding in the interview ? I guess his open door policy is closed. 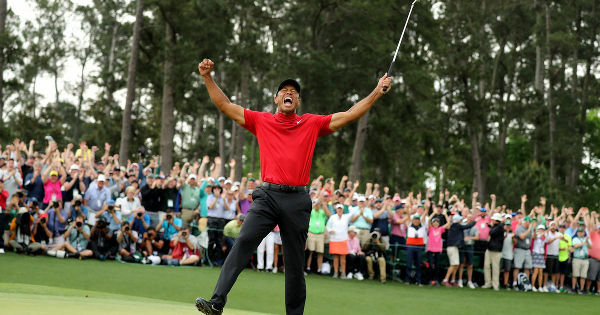 If he was willing to disclose in an interview, that he has reached out to players time and time again, what better time to show that he is trying to bridge that gap. His statements and actions are proving to be world’s apart. Interested to hear why you think so..
And you equating PMship and party leadership wid sense? Ok then, if yuh say so.